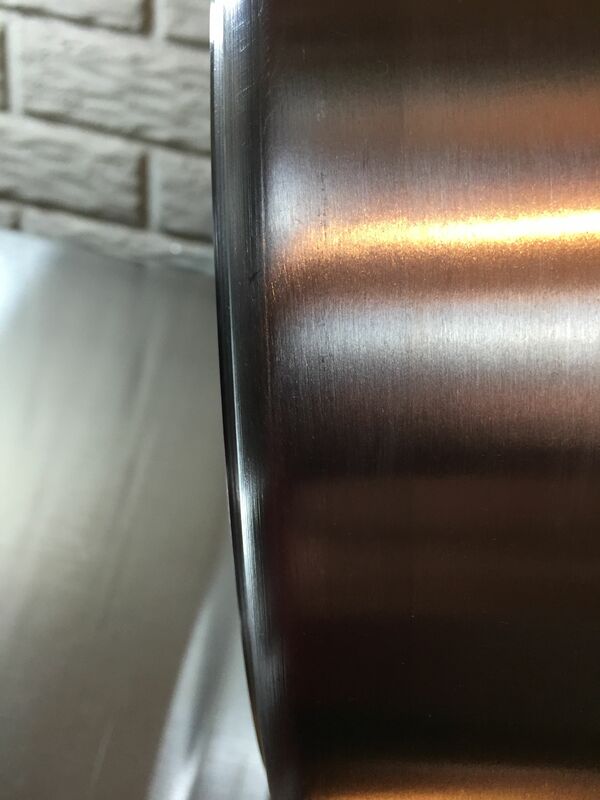 A very heavy duty (and cool) nameplate is a part of the handle and is on both the front and back of the kettle. These are solid cast steel handles. There are no rivets to leak or hold contaminants. 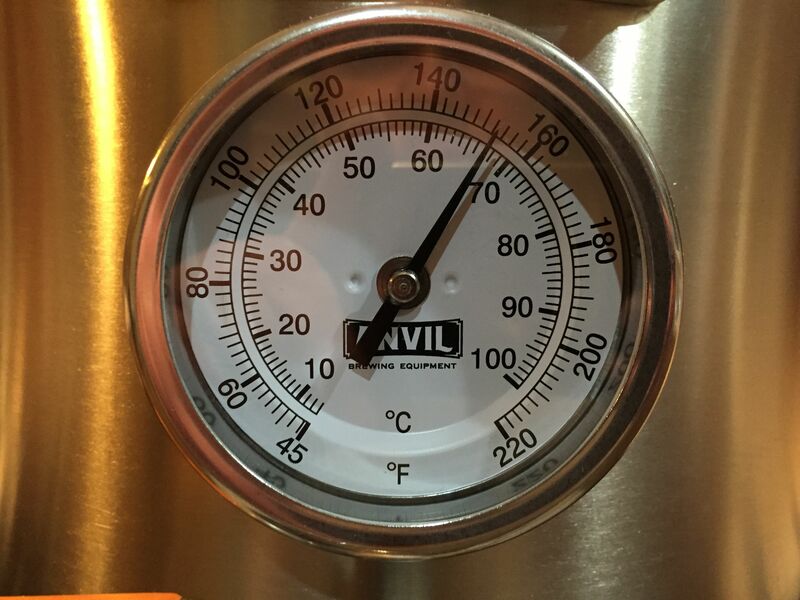 A look at the included thermometer and ball valve. Note that the thermometer is dual scale. 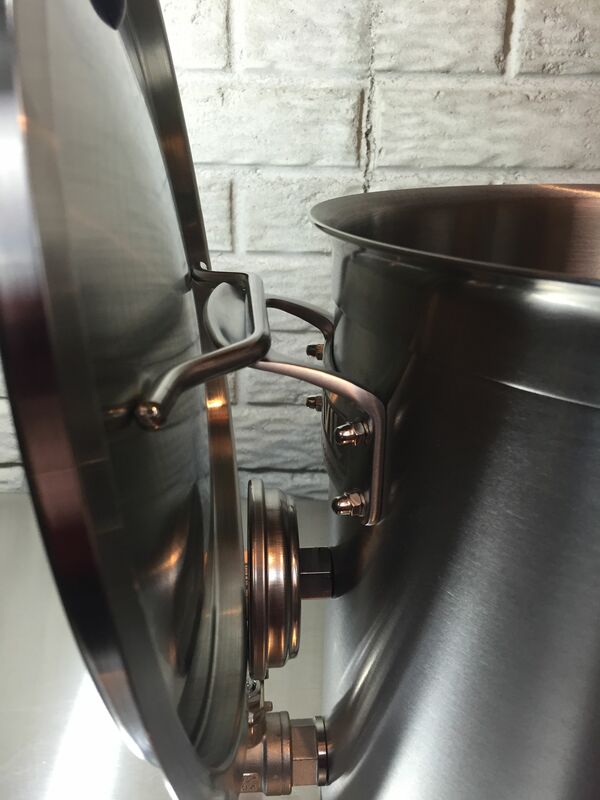 Anvil kettles feature Induction capable tri-ply clad bottoms. A look at the inside, including the temperature probe and pickup tube. 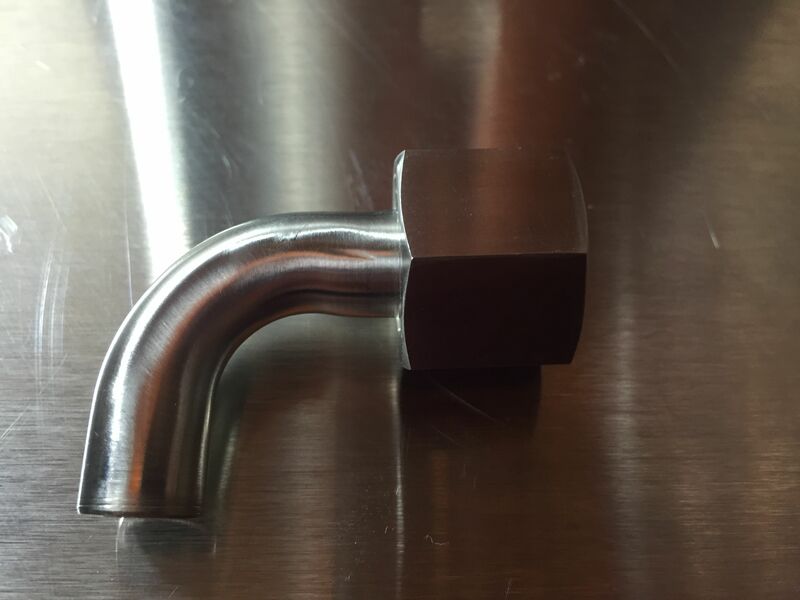 The pickup tube can be oriented at whatever angle you’d like (or left out completely). 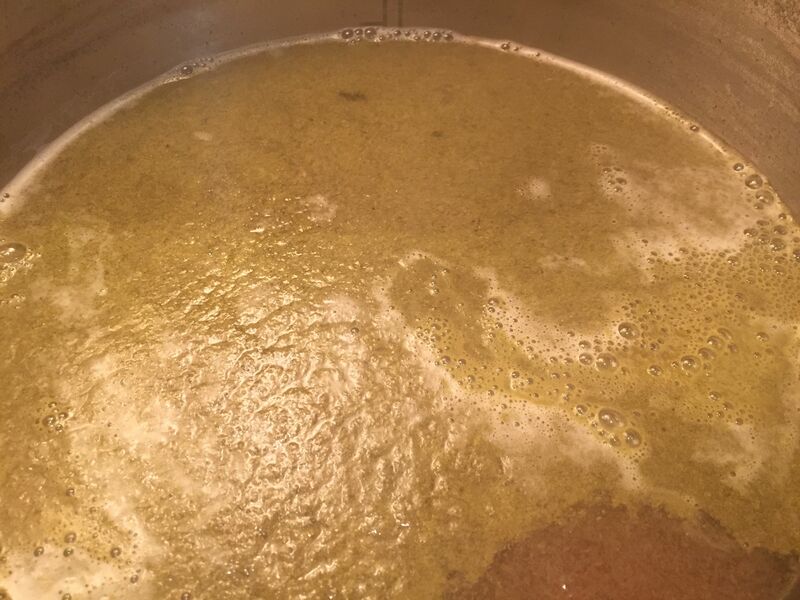 If you’re expecting a lot of hop trub you could adjust it as to leave more in the kettle. I’ve found that the dip tube can be both installed and removed without the use of tools. 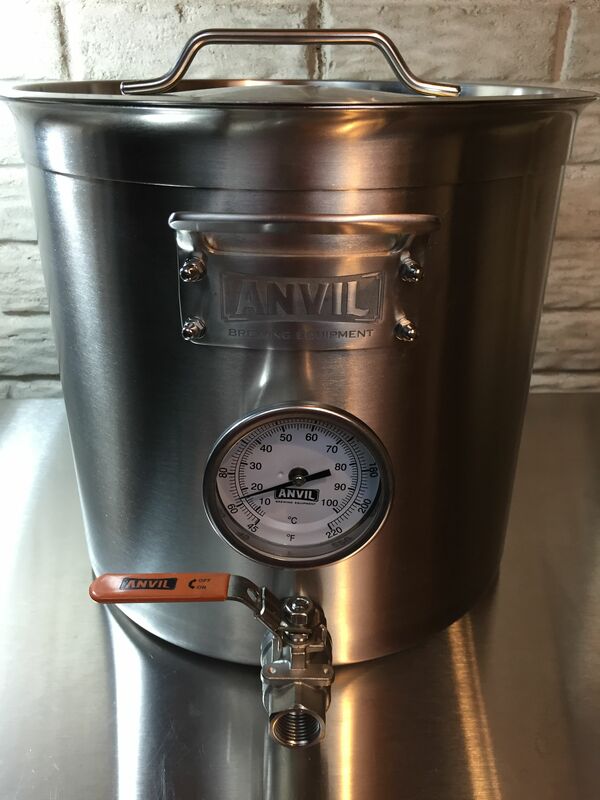 Anvil Kettles include etched level graduations in gal and liters. That’s great for nailing your volumes. My lid came with a hole in it and a rubber stopper. 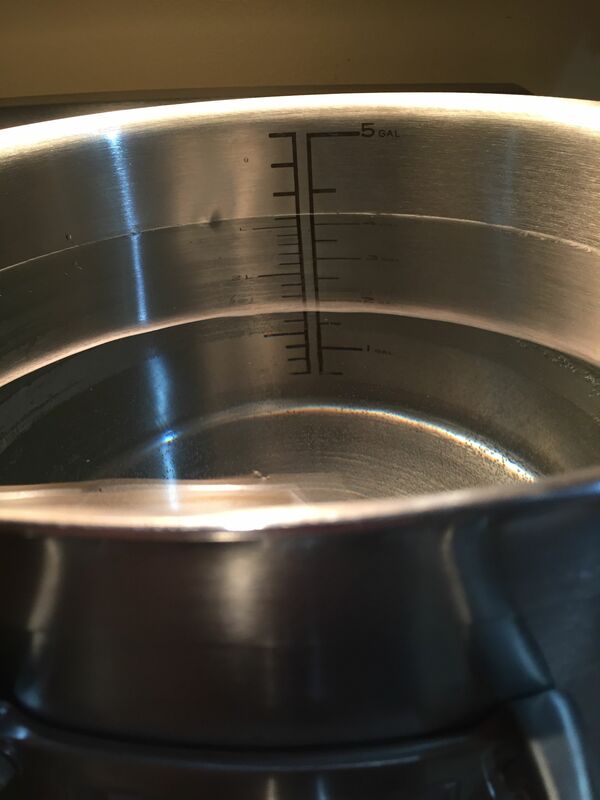 My initial assumptions were that is for easily running a thermometer probe through the kettle lid as I couldn’t find that feature on any product descriptions. Keep reading for more on that. The hole. 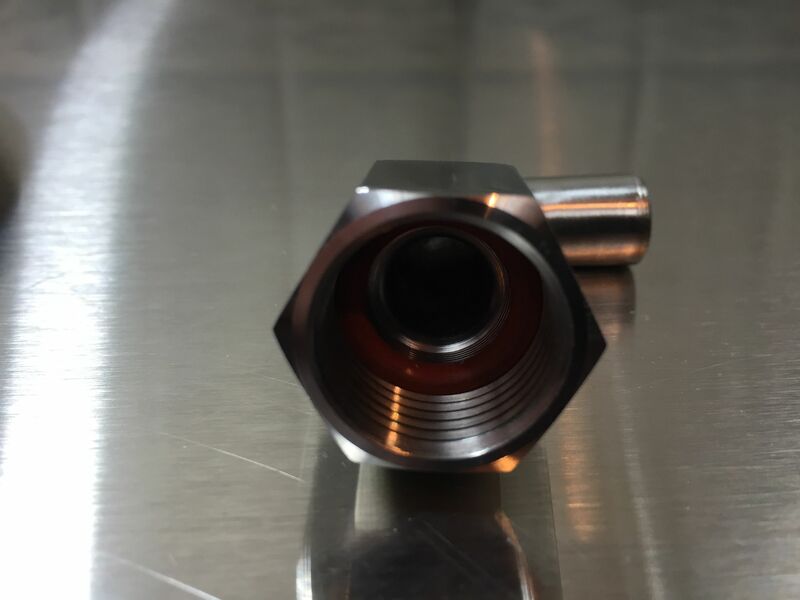 I asked Blichmann Engineering about this and was told… “The hole with the stopper on the lid is to accommodate some features and options which are still in development.” Still… it should be handy for a thermometer probe as well. Here’s a look at the o-ring at the back of the thermometer. It features a silicone o-ring with a grooved channel to hold it in place along with a quality nut to tighten it up. 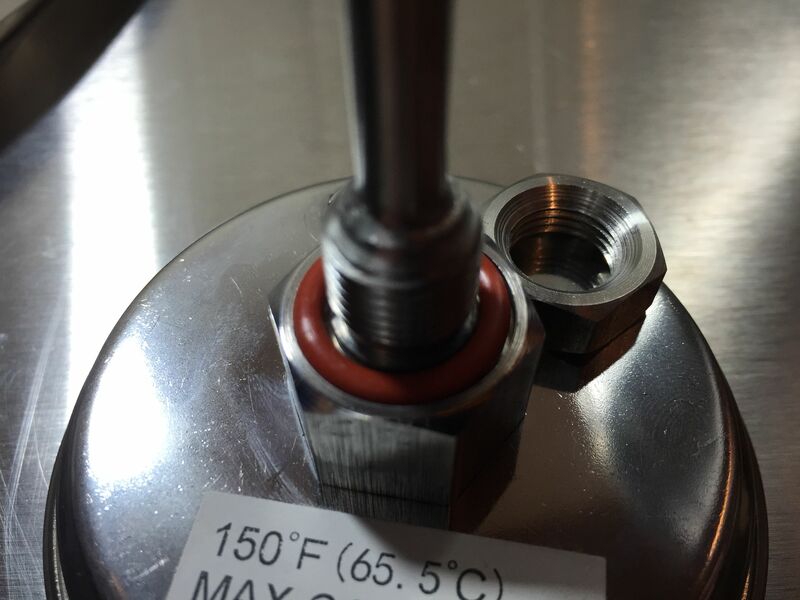 That groove is an important piece designed to hold the o-ring in place and makes this a solid weldless setup. Same situation on the purpose made ball valve, although this time it appears to be a clear silicone o-ring. 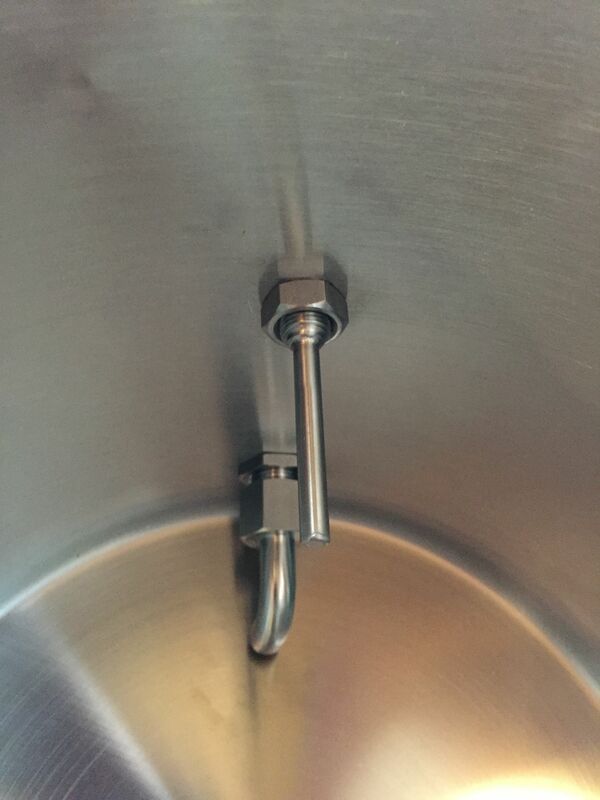 The description says “Purpose built stainless steel ball valve with integral bulkhead seal is rock solid, easy to install and disassemble, and will never leak.” It’s a solid setup and easy to install. A look at the dip tube. 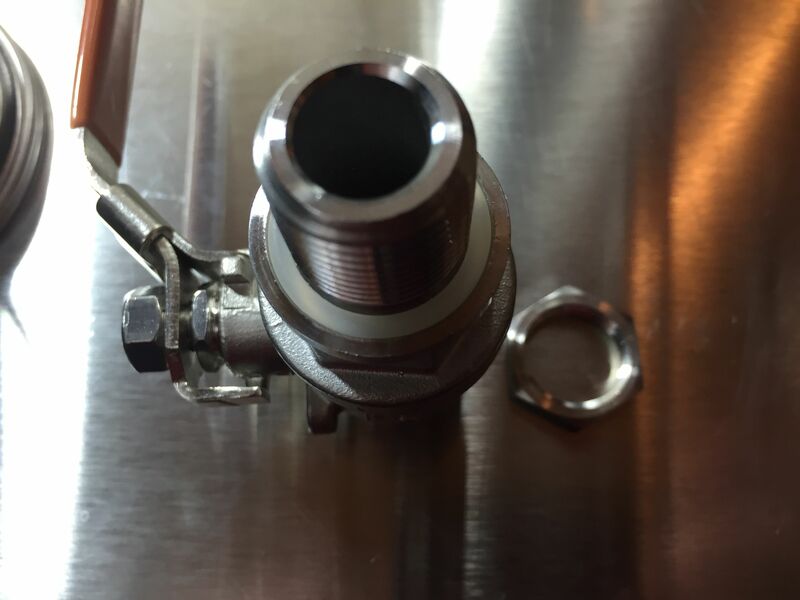 The dip tube drains to within 3/8 in. 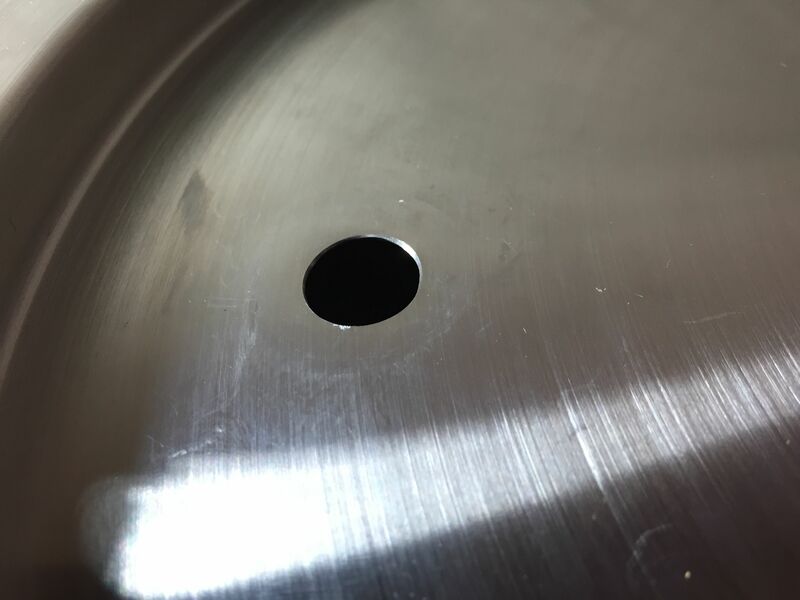 of the bottom of the kettle. A look inside the dip tube. Another silicone o-ring. A look at the assembled kettle. 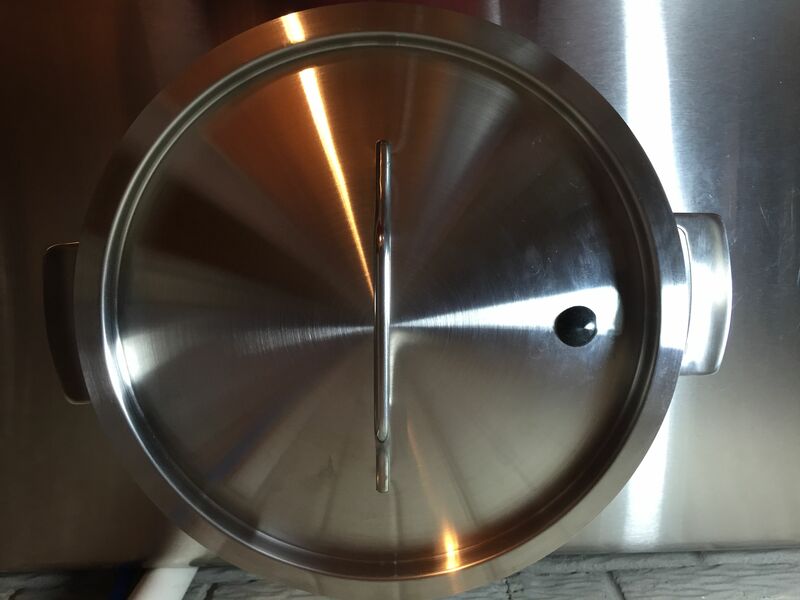 The kettle features heavy 18 gauge 304 stainless steel with reinforced lip for durability and easy cleaning. It also features an optimal 1.2 height to diameter ratio. Note that this is the 5.5 gallon version. 7.5, 10, 15 and 20 gallon sizes are also available. I decided to brew Great Fermentations “Piney the Welder” (think Pliney the Elder) using this kettle. I split the kit in half for two separate 2.5 gallon batches. This is me weighing the grain using my Anvil Grain Scale. My calculations called for 4.22 gallons of strike water for a brew in the bag (BIAB) style brew. The volume markers make this an easy task. 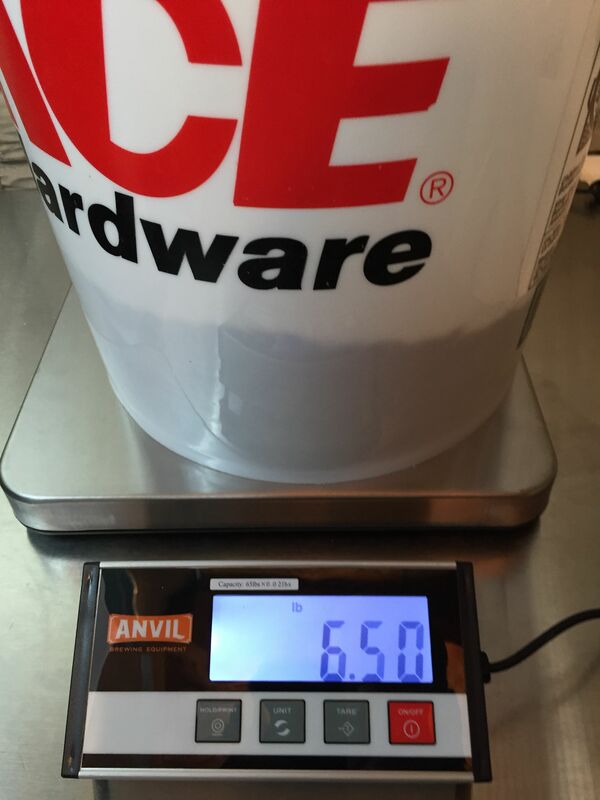 I used the small (20 – 24 quart) sized Brew Bag. 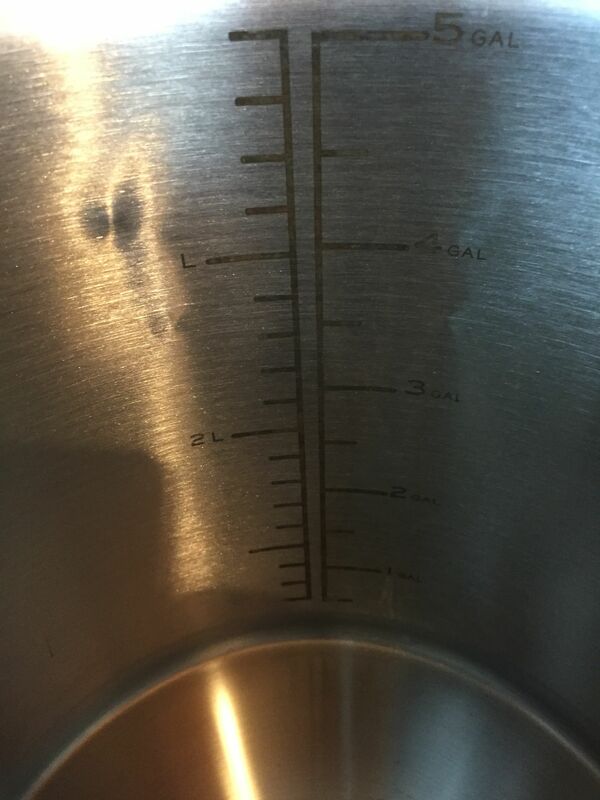 That size fits this kettle perfectly. The built in thermometer is great for keeping tabs on temperature. This is me hitting my mash temperature spot on. I have my BIAB spreadsheet set so that I come in one degree low. I aim a degree low so that I can heat up to temp, rather than having to try and cool down any amount of temperature. This time [not always the case], I happened to come in right on target. Technically, I came in a degree high, you get what I’m saying, right? Piney the Welder gets one charge of Lupulin Injection Hop Extract Shot for bittering and that’s it for the boil. Lots of hops go in at 0 minutes. This is just after the 0 minute addition. John Blichmann: “One big reason we developed the brand is the widely varying quality we were seeing in this segment of the market. I wanted to create a brand that brewers could trust that they were getting great quality and nice features at a lower price point. This is a great kettle. Both John Blichmann’s and John Palmer’s thoughtful design ideas along with Blichmann quality shine through. I can recommend this kettle to you. As of this posting the product pages are saying these kettles are pre-order, I’ve received the word that they are in stock and shipping. Great Fermentations has them in stock, so there’s no waiting on drop shipping. They ship out the same day if you order by (I think 3 PM Eastern). The 10% discount is also still on for the time being. 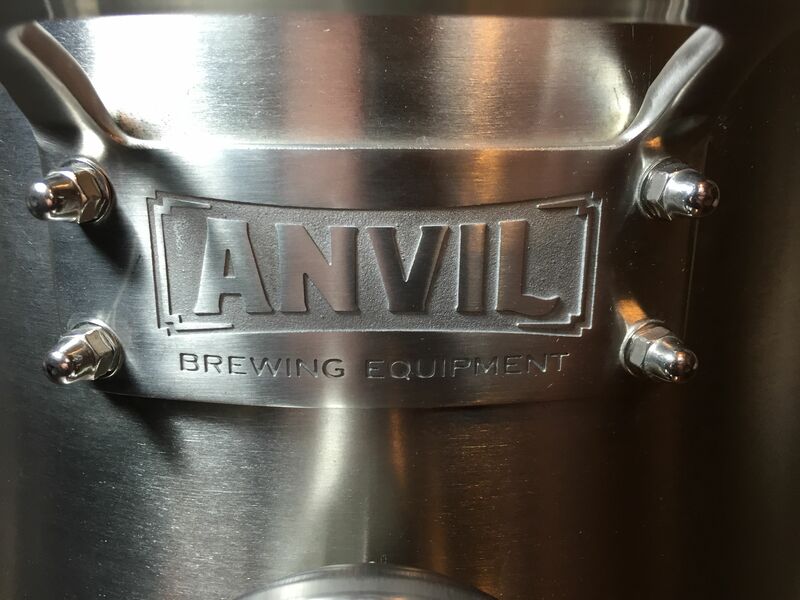 Thanks to Great Fermentations and Blichmann Engineering for providing me an Anvil Brewing Kettle to try out. 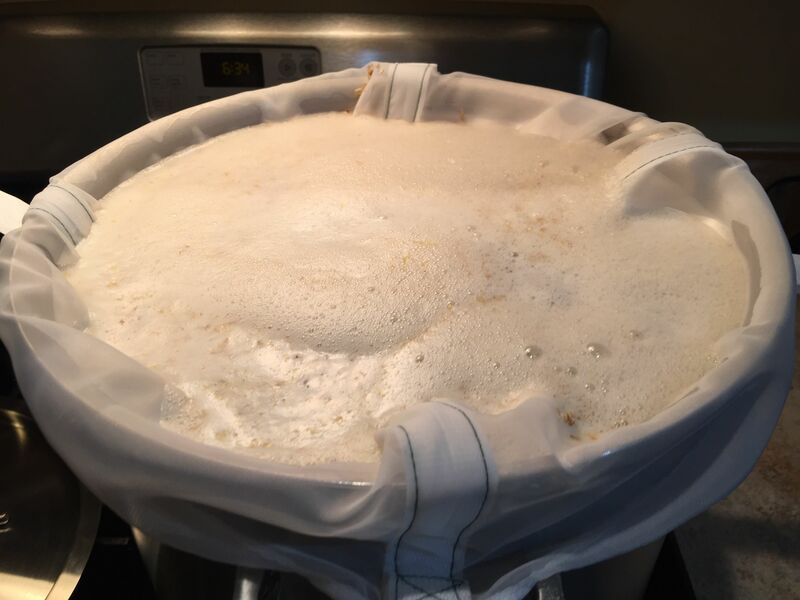 This entry was posted in Blichmann, Featured Reviews, Great Fermentations, HBF Tested, ig, Kettles, Reviews, Reviews & Top Posts on December 10, 2015 by admin. 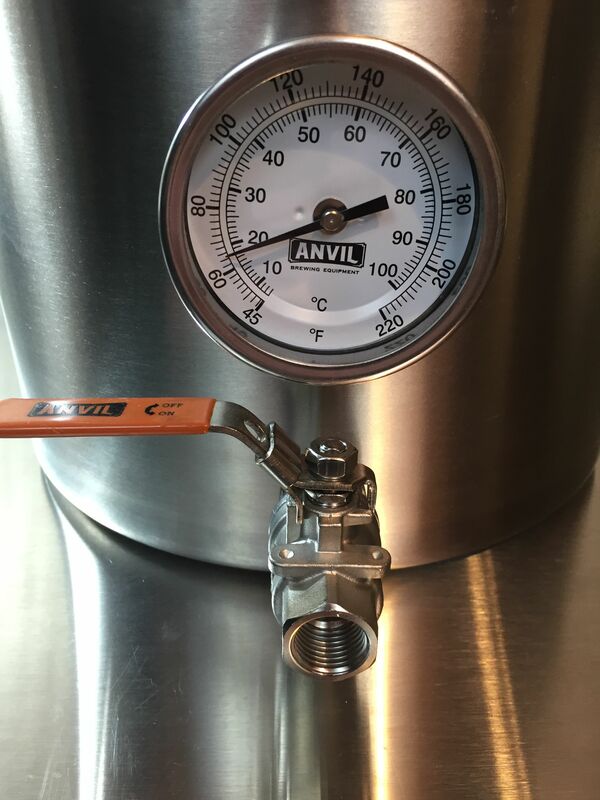 When mashing, didn’t your brew bag get tangled with the thermometer probe? 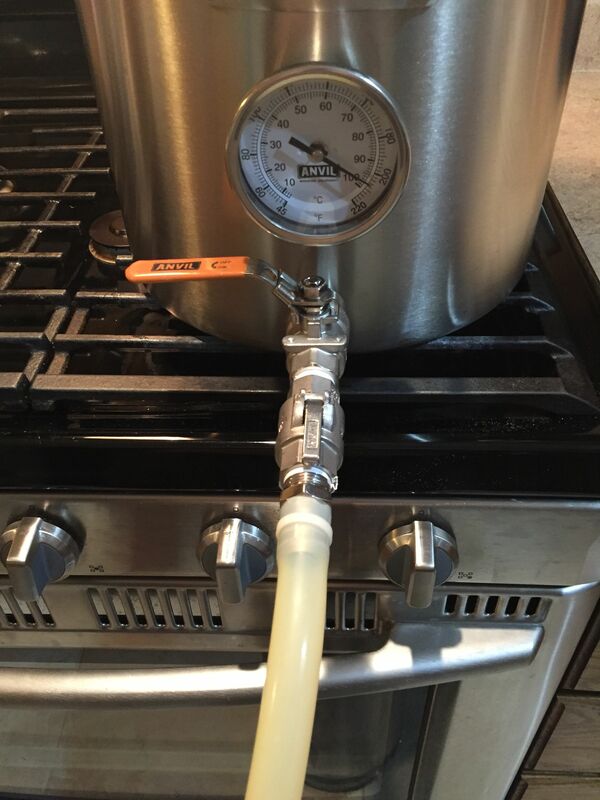 It looks like the thermometer sticks into the pot, making BIAB harder. Can the thermometer slide out? That hasn’t proven to be a problem for me. You could remove the thermometer, but it’s nothing you could do on the fly and the thermometer offers a lot more benefits than hassle. I’m in the market for a kettle. 7.5 gallon is what i want. 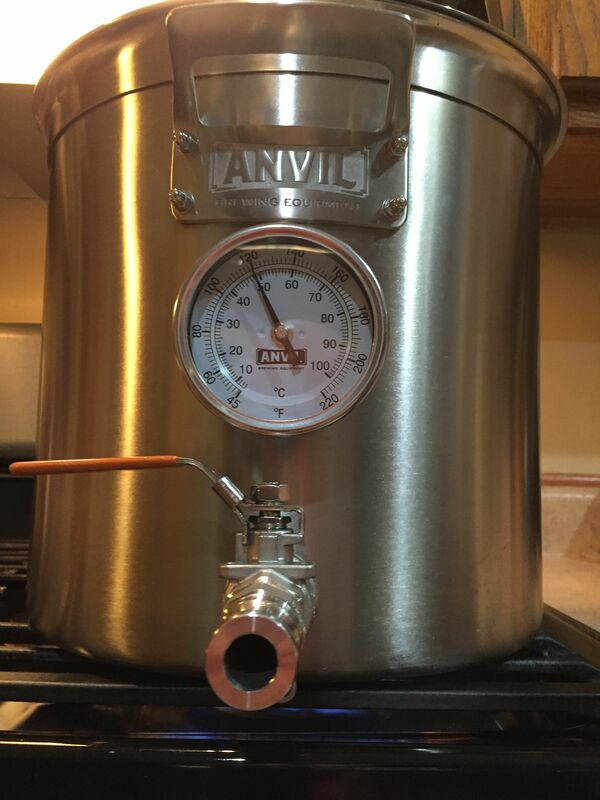 Not a 10 gallon kettle. My question is are they made in the usa? Probably old news to you know but that product that was in development must have been the new ferment in a kettle kit. I hope you are enjoying your kettle! Hey Jamie! GF’s cart has a handy shipping calculator. Hop on over and plug in your address and it will let you know.